Saw this in the excellent Lapham’s Quarterly, an extract from a translation by Alan Kimball of Sergei Nechaev and Mikhail Bakunin‘s ‘Catechism of a Revolutionist’, 1869. Full version with notes is here. It was intended to radicalise Russia’s youth against the Tsars and to show that, for the true radical, the ends justify the means. It makes chilling reading. 1. The revolutionist is a person doomed. He has no personal interests, no business affairs, no emotions, no attachments, no property, and no name. Everything in him is wholly absorbed in the single thought and the single passion for revolution. 2. The revolutionist knows that in the very depths of his being, not only in words but also in deeds, he has broken all the bonds that tie him to the civil order and the civilized world with all its laws, moralities, and customs, and with all its generally accepted conventions. He is their implacable enemy, and if he continues to live with them it is only in order to destroy them more speedily. 3. The revolutionist despises all doctrines and refuses to accept the mundane sciences, leaving them for future generations. He knows only one science: the science of destruction. For this reason, but only for this reason, he will study mechanics, physics, chemistry, and perhaps medicine. But all day and all night he studies the vital science of human beings, their characteristics and circumstances, at every possible level of social existence. The object is perpetually the same: the surest and quickest way of destroying the whole filthy order. 4. The revolutionist despises public opinion. He despises and hates the existing social morality in all its manifestations. For him, morality is everything that contributes to the triumph of the revolution. Anything that stands in its way is immoral and criminal. 5. The revolutionist is a person. He is merciless toward the state and toward the whole formal social structure of educated society, and he can expect no mercy from them. Between him and them there exists, declared or concealed, a relentless and irreconcilable war to the death. He must accustom himself to torture. 6. Tyrannical toward himself, he must be tyrannical toward others. All the gentle and enervating sentiments of kinship, love, friendship, gratitude, and even honor, must be suppressed in him and give place to the cold and singleminded passion for revolution. For him there exists only one pleasure, one consolation, one reward, one satisfaction the success of the revolution. Night and day he must have but one thought, one aim– merciless destruction. Striving cold-bloodedly and indefatigably toward this end, he must be prepared to destroy himself and to destroy with his own hands everything that stands in the path of the revolution. 7. The nature of the true revolutionist excludes all sentimentality, romanticism, infatuation, and exaltation. All private hatred and revenge must also be excluded. Revolutionary passion, practiced at every moment of the day until it becomes a habit, is to be employed with cold calculation. At all times, and in all places, the revolutionist must obey not his personal impulses but only those which serve the cause of the revolution. What *should* we be worried about? I’ve given up asking questions. l merely float on a tsunami of acceptance of anything life throws at me… and marvel stupidly. Every generation our species distils the best of itself, packages it up and passes it on, shedding the dross and creating a fresher, newer, shinier generation. We have been doing this now for four billion years, and in doing so have transmogrified from unicellular microorganisms that do little more than cling to rocks and photosynthesize, to creatures of boundless energy and imagination who write poetry, make music, love each other and work hard to decipher the secrets of themselves and their universe. Death is what makes this cyclical renewal and steady advance in organisms possible. Discovered by living things millions of years ago, aging and death permit a species to grow and flourish. Because natural selection ensures that the child-who-survives-to-reproduce is better than the parent (albeit infinitesimally so, for that is how evolution works), it is better for many species that the parent step out of the way and allow its (superior) child to succeed in its place. Put more simply, death stops a parent from competing with its children and grandchildren for the same limited resources. So important is death that we have, wired into our genes, a self-destruct senescence program that shuts down operations once we have successfully reproduced, so that we eventually die, leaving our children—the fresher, newer, shinier versions of ourselves—to carry on with the best of what we have given them: the best genes, the best art, and the best ideas. Four billion years of death has served us well. Now, all this may be coming to an end, for one of the things we humans, with our evolved intelligence, are working hard at is trying to eradicate death. This is an understandable enterprise, for nobody wants to die—genes for wanting to die rarely last long in a species. For millennia, human thinkers have dreamed of conquering old age and death: the fight against it permeates our art and culture, and much of our science. We personify death as a spectre and loathe it, fear it and associate it with all that is bad in the world. If we could conquer it, how much better life would become. Half a century ago that millennia-old dream began to take form, for we humans discovered genes, and within the genes we discovered that there are mechanisms for regulating aging and death, and we also discovered that we can engineer these genes—make them do things differently. We can add them, subtract them, alter their function, swap them between species—the possibilities are exciting and boundless. Having discovered the molecular mechanisms that regulate senescence and lifespan, we have begun to contemplate the possibility that we can alter the life course itself. We may be able to extend life, and possibly quite soon—it has recently been estimated that due to medical and technical advances, the first person to reach 150 years has already been born. Once we have eradicated cancer, heart disease, and dementia, our biggest killers, we can turn next to the body clock—the mechanism for winding-up operations that limits our lifespans—and alter that too. Why stop at 150? If a person is kept disease-free and the aging clock is halted, why could a person not reach 200? 300? 500? What a wonderful idea. Few people seem to doubt that this is a wonderful idea and so research into aging and lifespan is a funding priority in every wealthy, technologically advanced society. Termed “healthy aging”, this research really means prolonging life, for aging is by definition progressive time-dependent loss of health and function, and if we prevent that, we prevent death itself. Who wouldn’t want to live to 500? To live a life free of decrepitude and pain, to be able to spend so much more time enjoying favourite activities, achieving so much, wringing every drop from mysterious but wonderful existence, seeing the growing up not just of one’s children and grandchildren but also their children and grandchildren. Oh, yes please! But wait. Our lifespan is our lifespan for a reason. Lifespans vary enormously in the biological world, from barely a day in the mayfly to more than 100 years in the Galapagos tortoise and an estimated 1500 years in the Antarctic sponge. These spans have been imprinted by natural selection because they are those that serve the species best—that maximise the trade-off between caring for and competing with one’s offspring. Most of us love our parents but imagine a world inhabited not only by your own parents but also everyone else’s, and also your and their grandparents, and your and their great-grandparents… a society run by people whose ideas and attitudes date back four centuries. Imagine a world in which your boss might be in the post you covet for the next 100 years. Truly, would the generations be competing with each other: for food, housing, jobs, space. As it is, the young complain about how their elders, with their already rapidly increasing lifespans, are driving up house prices by refusing to downsize in middle age, and driving up unemployment by refusing to retire. Imagine four centuries of people ahead of you in the housing and job queues. The prolonging of the human lifespan is often lauded in the media but it is almost never questioned. Nobody seems to doubt that we should push forward with aging research, identify those genes, tinker with them, make them work for us. For nobody wants to die, and so we all want this research to succeed. We want it for ourselves, and our families. We want ourselves and our loved ones to live as long as possible—forever, if we can. But is it the best thing for our species? Have four billion years of evolution been wrong? We are not Antarctic sponges or blue-green algae—we die for a reason. We die so that our youth—those better versions of ourselves—can flourish. We should worry about the loss of death. Hitler sketch. Armstrong & Miller. Are you more honest than a banker? Under what circumstances would you lie, or cheat, and what effect does your deception have on society at large? Dan Ariely, one of the world’s leading voices on human motivation and behaviour is the latest big thinker to get the RSA Animate treatment. Taken from a lecture given at the RSA in July 2012 . Watch the longer talk here. The rise of the Gobblegobble Reich! For as long as democracy lasts, people will quote the most brilliant of his many epigrams – “Politics is just showbusiness for ugly people” – and, for as long as competitive endeavour exists, will parrot his cruel but psychologically astute observation that: “It is not enough to succeed; others must fail.” It is rare for a week to pass without one or both of these remarks being quoted approvingly somewhere. He was open to the charge of namedropping, but claims of famous acquaintance were never faked: he had been a friend and relative of the Kennedys and, when I went to interview Vidal at his breathtaking clifftop villa on the coast of the Amalfi coast, there were photographs of him with Hillary and Chelsea Clinton, who were reputed to have taken refuge there during one of the presidential scandals. 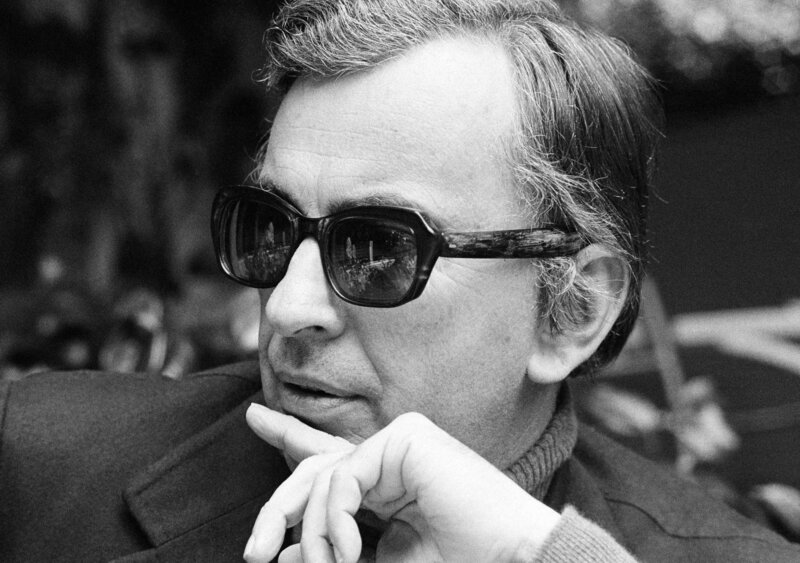 However, though distantly related to Clinton’s vice-president, Al Gore, Vidal delighted in declining to meet a branch of the family he regarded as dull, grey sheep. As often with Vidal, the remark about politics compensating the plain was double-edged. Famously attractive as a young man, he would have been a beautiful politician but, with the American electorate reluctant even now to back for most high offices candidates known to be gay, he was surely doomed to fail in the profession of his influential grandfather, Senator Gore of Oklahoma, who, being blind, relied on the newspapers being read to him by a group of assistants who included his grandson[…]But, even had he been straight, a mainstream political career would likely have been undermined by the savagery of his analysis of America. Politically, she was a corrupt and failing empire with a government that ruled through paranoid invocation of national security, he felt. However, he liked to reassure people that there was no risk of American culture dying – because it had never existed. 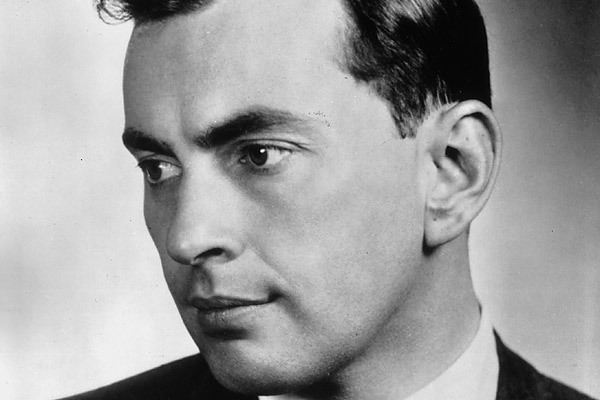 Despite the extremity of these opinions – and the fact that early novels such as The City and the Pillar (1948) and Myra Breckinridge (1968) were censored and banned because of their sexual content – Vidal later achieved mainstream bestseller and Book of the Month club status with a fictional sequence designed to correct what he saw as the deficient historical knowledge of his fellow Americans. The Narratives of Empire books, from Burr (1973) to The Golden Age (2000), combined fact, gossip and waspish commentary in the most entertaining and subversive history lessons until the advent of David Starkey, whose style somewhat echoes Vidal’s. These popular works and lucratively paid but cheaply produced screenplays for projects including Bob Guccone’s Caligula permitted Vidal to live in some splendour in Italy and California, while writing the essays on politics, literature and culture. They were premiered in periodicals and later preserved in book-form and had the feel of his true vocation. It was in one of these pieces that he characteristically claimed to have sneaked a gay sub-text into the screenplay of Charlton Heston’s Ben-Hur. A walking rejection of the claim that America has no class system, Vidal had the manner of an aristocrat. During the BBC coverage of the 2008 election, he spectacularly blanked David Dimbleby, whom he seemed to feel was pulling rank on him. Often, while interviewing Vidal, it struck me as a minor tragedy that no director had ever cast him as Lady Bracknell, for no actress has ever managed the levels of hauteur that this author could summon. This effortless identification with one of the highest-born figures in history was very Vidal: both in its social self-confidence and the fact that a question about emotional evasion was itself emotionally evaded through a provocative aphorism. With a writer who was such a brilliant speaker and a natural entertainer, it is fitting that he has left a more durable record on film than most writers do: through occasional acting turns such as the arrogant senator in the political satire Bob Roberts. That part was a vision of another life he might have led. But anyone who relishes elegant and incisive writing and speech will be glad that Vidal was fated to explain, rather than practise, politics. 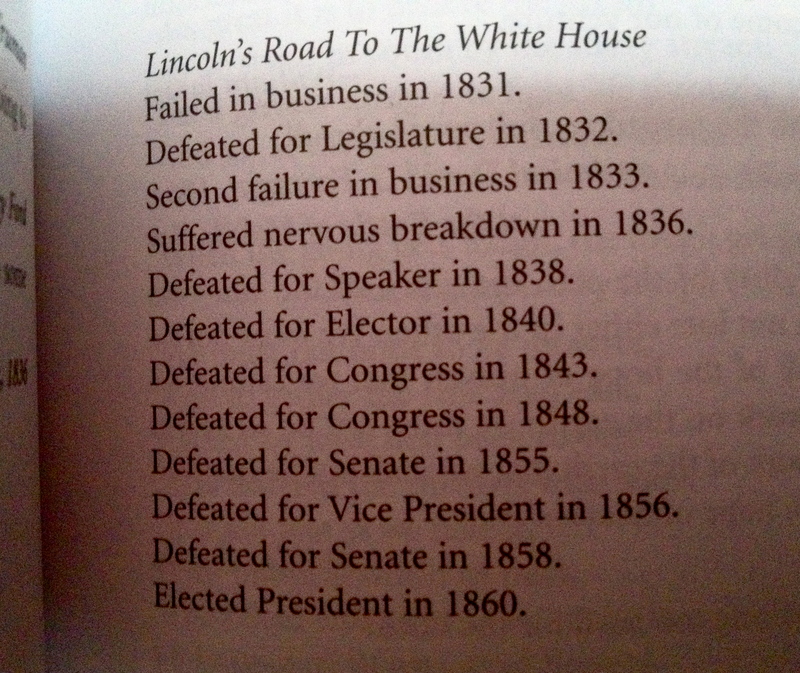 Abraham Lincoln (1809 – 1865) was the 16th President of the United States, well clever and well tall. He was only president for four years, from 1861 until his assassination in 1865, but in that short time he led his country through enormous change and adversity. We’re talking constitutional, military and moral crisis (American Civil War), during which he preserved the Union, ended slavery, sorted out the economy and the financial system. And this on top of a brutal route to office. I liked doing this post. His quotes aren’t too fancy, they’re practical and meaty and some of them are very funny. He must have been a very skilled judge of character. Wonder what his voice sounded like. No silver spoons here. Lincoln was born into a poor family on the western frontier. Mostly self-educated, he started out as a country lawyer, then became a state legislator and a one-term member of the House of Representatives…the rest was grind. [this next bit is edited from Wikipedia] In 1859-60, he opposed the expansion of slavery in the US in his campaign debates and speeches, secured the Republican nomination and was elected president in 1860. Before Lincoln took office in March, seven southern slave states declared their secession and formed the Confederacy. When war began with the Confederate attack on Fort Sumter on April 12, 1861, Lincoln concentrated on both the military and political dimensions of the war effort, seeking to reunify the nation. He vigorously exercised unprecedented war powers, including the arrest and detention without trial of thousands of suspected secessionists. He prevented British recognition of the Confederacy by skillfully handling the Trent affair late in 1861. 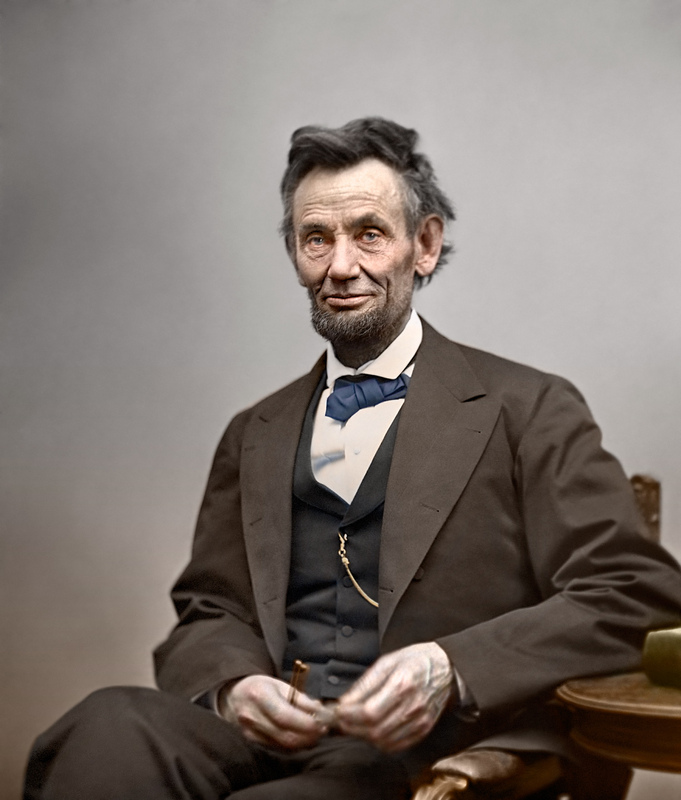 His efforts toward abolition include issuing his Emancipation Proclamation in 1863 and encouraging Congress to propose what would become the Thirteenth Amendment to the United States Constitution. 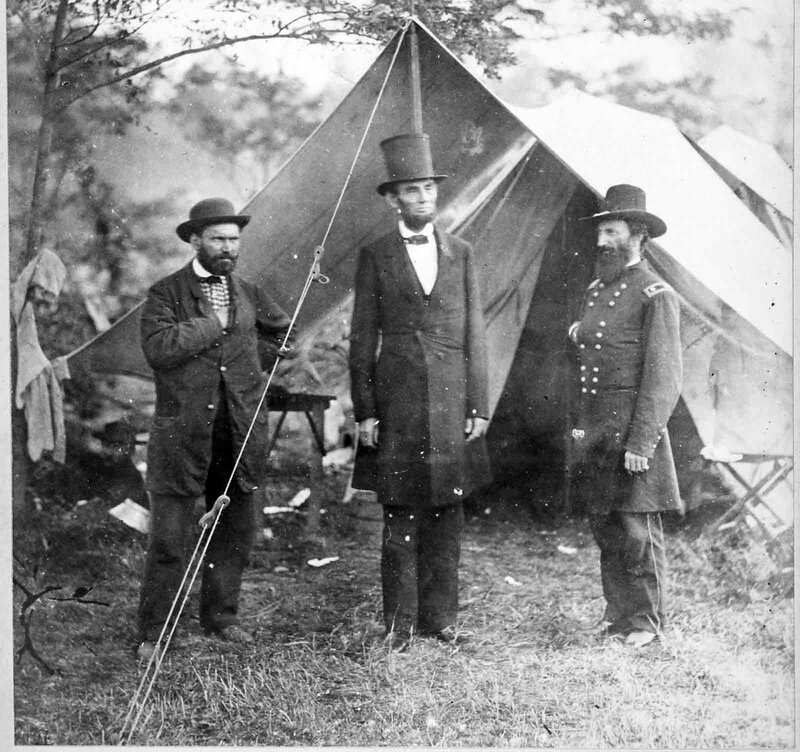 Lincoln closely supervised the war effort, especially the selection of top generals, including commanding general Ulysses S. Grant. He brought leaders of various factions of his party into his cabinet and pressured them to cooperate…Each time a general failed, Lincoln substituted another until finally Grant succeeded in 1865. As the leader of the moderate faction of the Republican party, Lincoln found his policies and personality were “blasted from all sides”: Radical Republicansdemanded harsher treatment of the South, War Democrats desired more compromise, Copperheads despised him, and irreconcilable secessionists plotted his death. Politically, Lincoln fought back with patronage, pitted his opponents against each other, and appealed to the American people with his oratory. His Gettysburg Address of 1863 became the most quoted speech in American history. It was an iconic statement of America’s dedication to the principles of nationalism, equal rights, liberty, and democracy. At the close of the war, Lincoln held a moderate view of Reconstruction, seeking to reunite the nation speedily through a policy of generous reconciliation in the face of lingering and bitter divisiveness. But six days after the surrender of Confederate commanding general Robert E. Lee, Lincoln was assassinated by Confederate sympathizer John Wilkes Booth at Ford’s Theatre. You cannot build character and courage by taking away a man’s initiative and independence. Don’t worry when you are not recognised, but strive to be worthy of recognition. He has a right to criticise, who has a heart to help. It is better to remain silent and be thought a fool than to open one’s mouth and remove all doubt. NB. read it out loud, don’t just read it to yourself.